Helen Jessup shares this beautifully creamy dessert recipe as a show-stopping finale to her ideal dinner party menu. 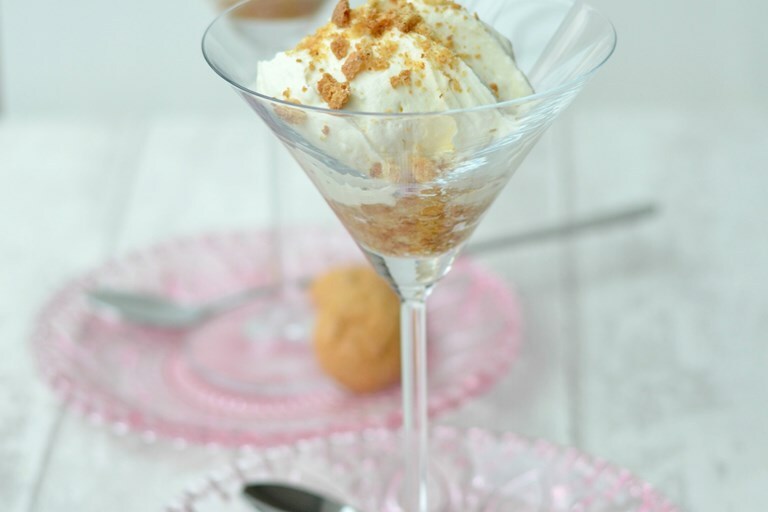 The lemon syllabub is rich with cream and mascarpone, with added zing from limoncello, and bubbly Prosecco for a touch of glamour. Adult-only dinner parties are not an activity that we're able to take part in very often, as most of our entertaining takes place with kids in tow (both ours and those of our guests). With this in mind, our menu usually consists of family-friendly one pot dishes, or I feed the kids first and adults later. Whatever the menu is though, whether child-friendly or an adult-only soirée, I always make sure I have a good selection of desserts, as it’s the course that I enjoy preparing the most. Below is my favourite course from a rare adult-only dinner party we hosted recently – dessert. 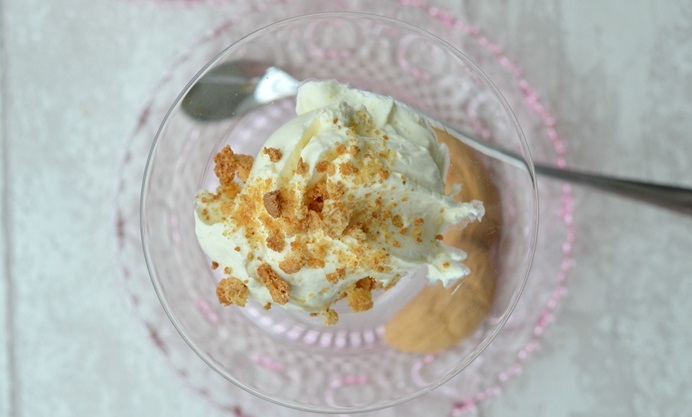 This was a Lemon and Prosecco syllabub, a lightly whipped creamy dessert with a hint of limoncello and Prosecco, sitting on top of a layer of crushed amaretti biscuits, which complemented the dessert perfectly. Prepare the dish in advance and assemble in cocktail glasses just before serving.